Hudson Headwaters Welcomes Rheumatologist, Ellen Cosgrove, M.D. Hudson Headwaters Health Network is pleased to announce Ellen Cosgrove, M.D., has joined James Yovanoff M.D., as the Network's second rheumatologist. Dr. Cosgrove graduated from Siena College, where she earned a bachelor's degree in biology. She received her doctorate of medicine degree from SUNY Upstate Medical University and completed her residency program at Mercy Hospital of Pittsburgh. She completed her rheumatology fellowship at George Washington University Medical in Washington D.C.
"We are delighted to welcome a talented, highly-skilled specialist to the team," said Dr. Tucker Slingerland, chief executive officer at Hudson Headwaters Health Network. "She is a gifted physician who will be accessible to patients in our community in need of this important service." 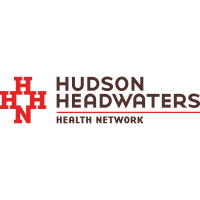 A nonprofit, community-based network of 18 health centers, Hudson Headwaters Health Network has served the Glens Falls, Lake George and Adirondack regions since 1981 and northern Clinton County since 2012. Its comprehensive services include primary care and urgent care; pediatrics, women's health, behavioral health, dentistry and a variety of other specialties; and labs and imaging. For more information visit www.hhhn.org.